If you're looking for a luxury SUV that's both reliable and economical, you've found it! 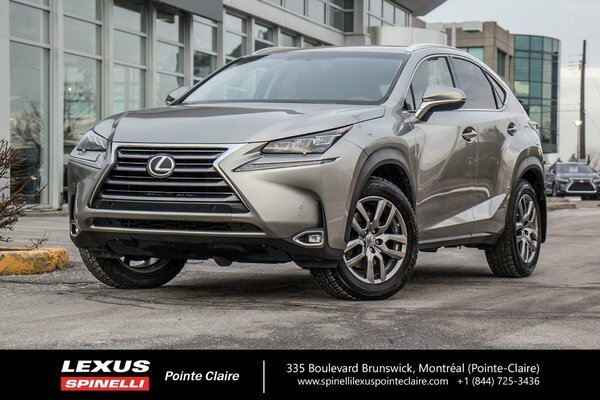 This 2015 LEXUS NX200 T with LUXURY package has everything you're looking for and more. This sporty and fun to drive mid size SUV has only 76722 kms! Nice color combination of Atomic Silver on Black leather interior. Remainder of Lexus warranty ending on August 11, 2022 or 110 000 kms. Never accidented. CARFAX vehicule history report available and without incident. Fully inspected by our Lexus certified service department.